Among the list of best martial arts for women, Wing Chun finds a special mention. Wing Chun is intended and considered to be a realistic and practical martial art. The art is based largely on fighting at a short range. Wing Chun consists of a relatively small number of techniques that are designed to be used together and form a unit that fits well. The training emphasizes the importance of learning the concepts and principles instead of lots of different techniques for every possible situation. History of this style has been traced to the year 1700/1800. There are many legends about how the style probably occurred, but it is most likely that Wing Chun has risen through the fusion of previous styles. The most common story of the style’s origin is that it was invented by Buddhist nuns named Wu Mei and Ng Mui. The Wing Tsun or Wing Chun is among the best martial arts for women because its techniques are not based on physical strength. It is very fast and aggressive, yet simple. It has earned recognition for being one of the best defense systems in the world which makes it more useful for women as they need self defense more often than they need an offensive action. Usually an aggressor always attacks a person who apparently is not going to put up much resistance. Thus, a woman who has practiced Wing Chun, can surprise such an aggressor with a relentless flurry of punches. One can see that different people use their knowledge of the style in different ways, but as long as the principles and concepts are correct, it is still Wing Chun. 1. The style is not regarded as a sport of its practitioners, and it is relatively uncommon for practitioners who practice Wing Chun to take part in martial arts competitions. The training is not tailored for competitions. Supporters argue that the ability to train without taking into account the rules that apply to happen in competitions is a great strength. 2. A very important part of the training, something you practice at all levels, is to automatically find the right distance and angle to the opponent. This is done largely by practicing footwork, i.e. movements with the feet. The actual footwork is considered by many to be the foundation of understanding Wing Chun. This is by no means unique to Wing Chun, but most of fighting styles, including western boxing which stresses the importance of good footwork. 3. Since much of the Wing Chun techniques are performed with the hands, it is considered especially important to maintain a stable contact with the ground and good balance. 4. Wing Chun is a typical “counter-attacking style”, that is to say that Wing Chun practitioners respond to an attack and counter with a counterattack. A typical Wing Chun-counterattack consists of defense and attack. 5. Wing Chun is primarily an unarmed style. This fact is instrumental in keeping it high on the list of best martial arts for women. The focus is on the use of hands and feet, but historically there have been guns also that have been used at the higher levels of style. Once a practitioner is proficient with unarmed styles, he can graduate to weapons. Ordinary types of weapons in Wing Chun are two short swords or long knives and a long pole. The knives and the rods training begins usually at a relatively advanced level. Therefore, it is unusual for a beginner to train with these weapons. The knives, which are used in pairs, are short and relatively wide. Training with knives brings strength in the wrists because the blades are relatively heavy to handle. Right wrist strength is important in the unarmed Wing Chun techniques and weapon training also indirectly exercises the wrist. 1. It preserves flexibility through stretching and movement of all joints. 2. It tones the muscles and makes a great aerobic exercise. 3. It connects you with your being through meditation. 4. It builds confidence in oneself, increases self-esteem, calm and positive attitude. 5. It increases the ability of a physical response in an adverse situation. 6. Unlike other types of martial arts, it equally influences your ability to become stronger emotionally. It is very difficult to predict at what time and circumstances one can be attacked. Therefore the best martial arts for women would be the ones that enable defense when unprepared also. The first few moments before an attack are crucial, because psychological factor of surprise plays a vital role. Within seconds, our subconscious must choose either panicking or reacting immediately to avoid being dominated by the aggressor. The Wing Chun is very different from traditional martial arts and among the best martial arts for women because there is not much learning and remembering of techniques. When a woman is in panic, as described above, believe me, there is no time for her to remember any technique. Therefore, Wing Chun is not based on learning techniques, but in learning to react instinctively to certain situations. Wing Chun is not a catalog of techniques but pure and automatic adaptation to the situation. 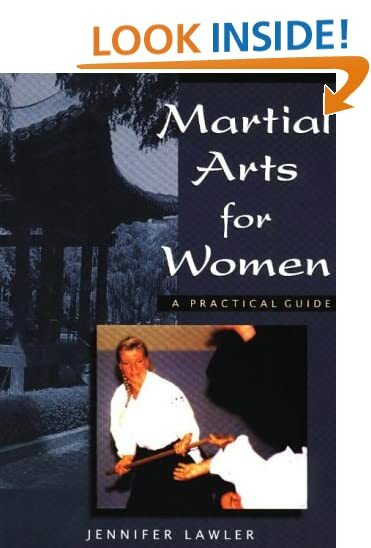 It can undoubtedly be titled as one of the best martial arts for women. Another craft that is among the best martial arts for women is Aikido Martial Arts. It aims at channelizing the force of the attacker against him rather than challenging it head on. Aikido is of of Japanese martial arts, but women of the West have taken up much to this non-violent, yet highly choreographed martial art. If you enjoyed reading this post the best martial arts for women, you may also like top 10 martial arts for self defense. guess what i’ll be finding classes for! thanks.